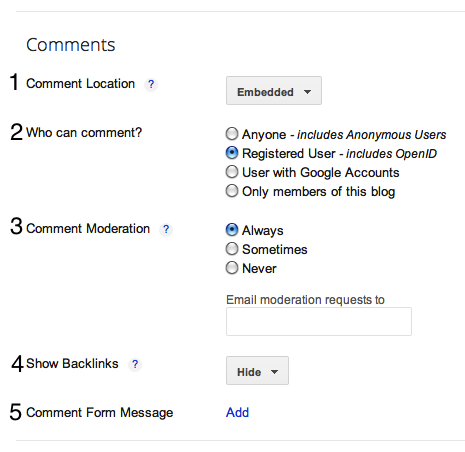 Comments are the responses you get from your readers for your blog posts. Comments usually exists at the bottom of the blog posts. 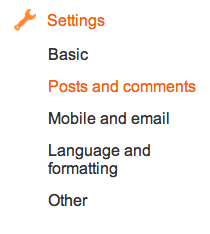 You need to enable comments in the settings in order to see them visible under posts. To do so, Go to Settings > Posts and comments. Make sure it is not set to 'Hide'. You will learn more about comments in further basic tutorials about 'Settings'. Comments play an important role in SEO. The popularity of the blog is also calculated basing upon the user interactiveness on the blog. So comments are the proof of user engagement. Comments also give backlinks to the commenter. So people would like to comment on your blog to get more referral backlinks to theirs. In this process, some bloggers would spam the comment section with the anchor tag href links. Being not so useful in the on going conversations in the comments section, they would stand up as threat in terms of SEO. So there is a need to manage the comments you get on your articles. 'Select' comments and click on either 'Remove', 'Delete and 'Spam' upon your requirement. You can set to see number of comments per page by changing the default 50 figure on the top right to any other number you have to opt.